Take your coffee experience to the next level with Cafection’s new bean to cup solution. The Encore 29 is the compact bean to cup coffee machine you have been waiting for! 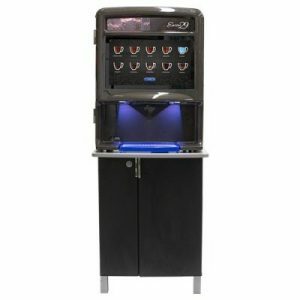 The Encore 29 has three whole bean hoppers, three cup sizes, and three brew strengths; everyone can now have a fresh cup of coffee customized just for them any time of day. If you have any questions or would like to have an Encore 29 in your office, contact us today, we are here to help!